March 2015: I undertook my first champ show judging appointment with the STBCV with 184 dogs entered. I would like to thank the club for the appointment and to all those who entered and supported me. I had many wonderful dogs to judge which made some decisions ever so hard. 2014: Congratulations to Linwest Thunderbird, Oscars latest show champion, and Linwest Puss in Boots who was named 2014 VictorianTracking Dog of the Year. A super achievement. Oscar has now sired 18 show champions. Another three are very close to their title now. 2013: And in the UK, a hugh congratualtions to Javawolf Mighty Mouse who has secured a level 7 pass in Agility, the highest award you can achieve. 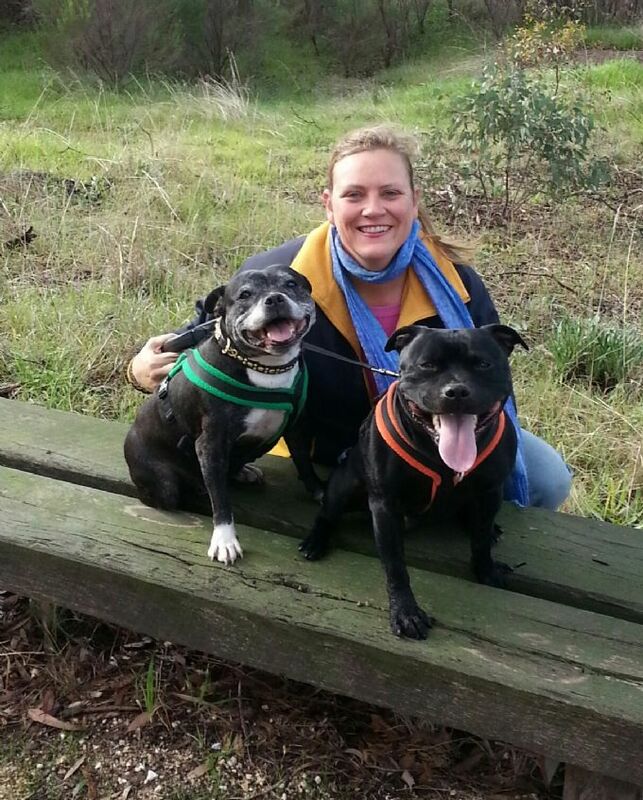 June 2013: I can now offically judge Staffordshire Bull Terriers at a Championship level. Im thrilled to bits to have passed all the requirements & look forward to some judging appointments. Toohey 2013: Its offical Toohey is now a Australian Champion, final points were awarded in April at the ACT Terrier show. Some agility & obedience classes are soon to follow! July 2012: Its official, Oscar is now a Supreme Champion. He qualified for this new Australian title by winning DCC, BOB & to top it off RU in Group under Sharon Bover (Stafford Specilist) on the 8 July at the Shepparton Show.